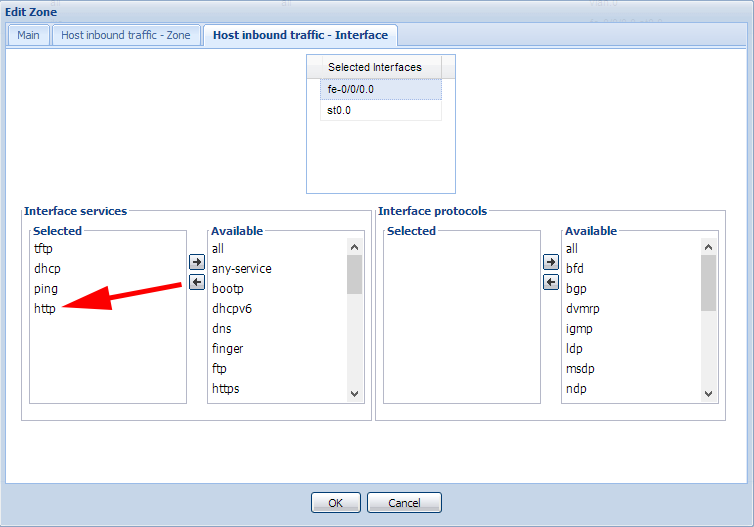 Assuming you already have web management enabled, and you want to access it from the outside (the untrusted zone). 1. 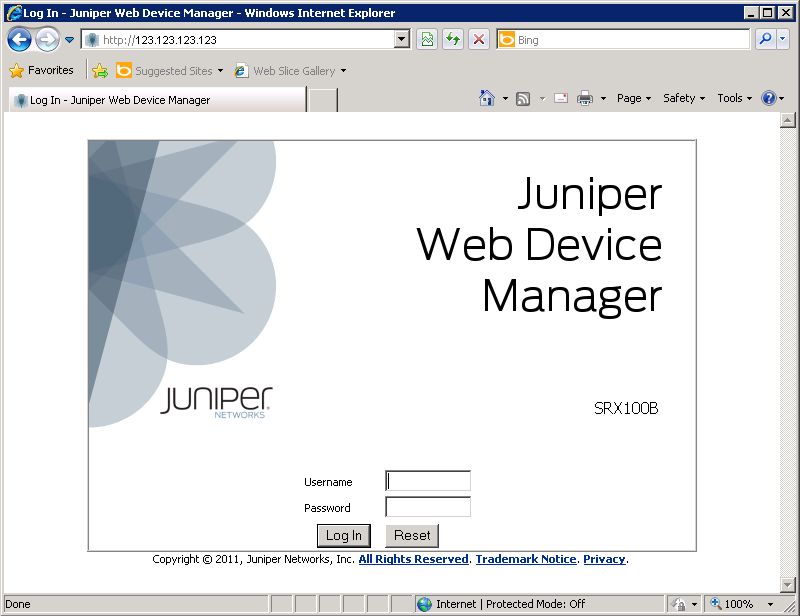 Log into the web console of the Juniper. 2. Navigate to Security > Zones/Screen > Select the ‘Untrust’ Zone > Edit > Host inbound traffic – Interface > Select the Outside interface > Under Interface services add in ‘http’ > OK.
3. Then to save the change click Action > Commit.